Walt Disney World is now requiring children from 3 to 9 years old to have their fingers scanned when they enter the theme parks, just like older kids and adults. Any parents who feel uncomfortable with having their kids’ fingers scanned can use their own instead. Walt Disney World’s demand-based pricing has succeeded in spreading out attendance at the parks in Florida and Southern California and increasing revenues, the company said in its quarterly earnings call. Launched in February to alleviate overcrowding and ultimately increase revenue, the pricing system separates the calendar into “value,” “regular,” and “peak” days, each with a different single-day rate. Over the 2015 holiday season, both Disneyland and Magic Kingdom reached full capacity and were forced to shut their gates. The parks saw a 10% increase in attendance in the last quarter of 2015. The new pricing plan was instituted “in part to moderate attendance so that the park experience is a little bit better, but all designed with the effect of essentially raising revenue,” CEO Bob Iger said during the call. And indeed, while the change did cause a “modest” decrease in attendance at Disney World in Florida between January and March, overall the Parks and Resorts division increased revenue by 4%, to $3.9 billion. Disney also noted that its cruise business set records for revenue and operating income, though it did not provide details. Disney will be increasing ticket prices at Walt Disney World and Disneyland Resort on Sunday February 28th. Disney will also introduce a new three tier system for 1 day tickets. Sources say that the calendar year will be split into periods of value, regular and peak periods, and will be priced accordingly. It has not been confirmed, but it appears that the tiered pricing will only be applied to single day tickets at this time. Also…what the new prices for tickets will be is not known at this time. As has been rumored for a few weeks, the ticket prices for Walt Disney World and Disneyland theme parks will soon be increasing. If what we hear is correct, they will be rising this Sunday, February 22. If what have heard is fact, for the first time ever, the price of some tickets will be going up over $100. Some Disney sites have gotten confirmation that the price hikes for Walt Disney World will go into effect on Sunday. Not all ticket increases are known yet, but it has been revealed that a one-day ticket to Magic Kingdom will go up to $105 plus tax. One-day tickets to Epcot, Disney’s Hollywood Studios, and Disney’s Animal Kingdom will go up to $99 plus tax each. Currently, Magic Kingdom one-day tickets are $99 plus tax while one-day tickets to each of the other three parks are $94 plus tax. Duncan Dickson is an associate professor at the University of Central Florida’s Rosen College of Hospitality Management and a former Disney executive. He said he has been advised by an unidentified Disney Cast Member that the price increase will happen. There have also been rumors that the “No Expiration” ticket option will be ending as well. 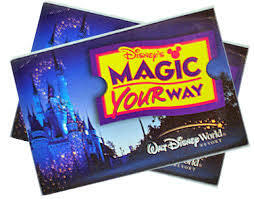 This option always allowed guests to hold onto any unused days on their tickets if they purchased it. If this does happen, all daily-park tickets will expire 14 days after day of first use. We have also heard that one-day water park tickets will be automatically have the “Hopper” option. Guests will now be able to visit Typhoon Lagoon and Blizzard Beach with their one-day tickets without having to choose just one. It is expected that the increases will also be happening for tickets at Disneyland this Sunday.